Fitbit Versa Lite smartwatch and Fitbit Inspire fitness trackers have reached Indian shores. After a global unveiling earlier this month, Fitbit on Wednesday announced the launch of its new Versa Lite smartwatch as well as Inspire fitness trackers in India. 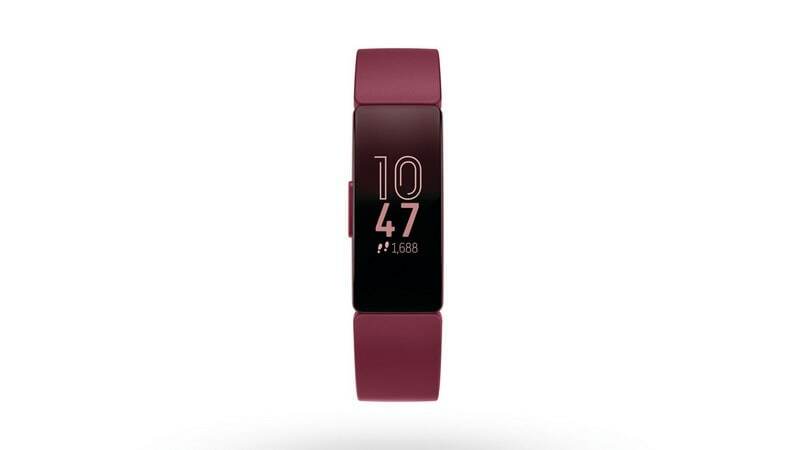 The Fitbit Inspire activity tracker will be offered in two variants – Fitbit Inspire and Fitbit Inspire HR. The company also revealed that it will be bringing a kids-focused Ace 2 activity tracker to the country later this year. According to Fitbit, the Versa Lite, which is the company’s most affordable smartwatch yet, has been priced at Rs. 15,999 in the country. The smartwatch is already on sale in the country in White, Lilac, Mulberry, Marina Blue, and Charcoal colours. On the other hand, the Fitbit Inspire fitness tracker costs Rs. 6,999 and can be purchased in Black and Sangria colours, whereas Inspire HR carries a price tag of Rs. 8,999 and is available in Black, Lilac, and two-tone Black and White colours. Like the Versa Lite, the Fitbit Inspire and Inspire HR are also currently on sale in the country. All new Fitbit wearables can be purchased from Amazon, Flipkart, Reliance Digital, Croma, and Helios websites as well as select brick-and-mortar stores. As we mentioned earlier, the Fitbit Ace 2 activity tracker will arrive in Indian stores later this year. It will cost Rs. 6,999. Talking about the features of the Versa Lite smartwatch, it comes with most of the fitness and smart features that are available in the original Fitbit Versa. The Fitbit Versa Lite packs automatic activity, heart-rate, and sleep tracking support. The smartwatch also comes with over 15 goal-based exercise modes, support for notifications, and apps, all this in a simple one-button, lightweight, and swimproof design. Additionally, you will get a SpO2 sensor in the watch, which has the potential to estimate changes in blood oxygen levels and help track new health indicators, such as sleep apnoea. Fitbit claims that Versa Lite Edition can last over four days in a single charge. In terms of the specifications, the Versa Lite features a 1.34-inch screen with 300×300 pixel resolution and Gorilla Glass 3. It weighs just 38 grams and packs an accelerometer, 3-axis gyroscope, optical heart rate monitor, and ambient light sensor. The Fitbit Inspire and Inspire HR fitness trackers sport a swimproof and slim design with a greyscale OLED touchscreen display. Both fitness trackers also come with up to five days of battery life, on-screen dashboard, notifications support, all-day activity tracking, female health tracking, sleep tracking, all-day calorie burn tracking, and more. Additionally, the Fitbit Inspire HR comes with over 15 goal-based exercise modes, guided breathing sessions, heart-rate tracking, and cardio fitness level tracking. Made for children, the Fitbit Ace 2 sports a swimproof design and a bumper for added protection. The Ace 2 includes animated clock faces, motivating challenges to keep kids moving, and colours avatars. According to Fitbit, parents will have to create a Fitbit family account in order to set up Ace 2 with their child’s account, which helps them stay on top of their kids’ activities. The Fitbit Ace 2 supports activity and sleep tracking. It will be able to last five days on a single charge.